You could use a vacation. Fortunately, some of the world’s finest beaches, richest cultures and spiciest cuisines are within reach in the Caribbean Islands, a vibrant archipelago that’s just a short flight away. Traveling the Caribbean is simple, but choosing the right islands, the right hotels and the right transportation can be quite a challenge. If you plan ahead properly, you can have an authentic Caribbean experience on nearly any budget– and we’re going to show you how. Read on to learn about the prime Caribbean destinations, the choice between boutique and resort hotels and the best way of getting there and back. Pack a swimsuit and a sense of adventure, you’re going to need both. What makes the Caribbean special? Its ecology and culture are both mutually vibrant and enchanting. The stunning sand beaches, breezy palms and warm climate are a welcome escape for those who need to get away. The northern islands of the Caribbean, especially the Bahamas, formed over millennia as sand washed upon coral reefs that ultimately yielded islands. The Greater Antilles, which comprise Cuba, Hispaniola and Puerto Rico, were formed from continental rock. The Lesser Antilles, including the Virgin Islands, Barbados and others, are the result of volcanic activity. Each of these distinct natural forces has created varied landscapes and biological habitats, each providing a different experience for the visitor. In terms of culture, the Caribbean islands have a rich history, often turbulent, with influences from Europeans, Africans and natives alike. Starting in the early 1500s, the nations of Europe colonized the Caribbean in a contentious land-grab between the British, Spanish, French and Dutch. This explains why the common tongue in Haiti is French, why the streets of San Juan are paved with bricks from Spain, and why the British flag flew over Jamaica until the middle of the last century. While the West Indies were once a hub of the slave trade, the free children of slaves brought a distinct African influence to every island in this archipelago. Finally, the natives of Taino and Carib descent proudly held on to their cuisine and traditions which are still experienced throughout the Caribbean today. Most Caribbean islands have enough entertainment and amenities to sustain a week-long vacation on their own. 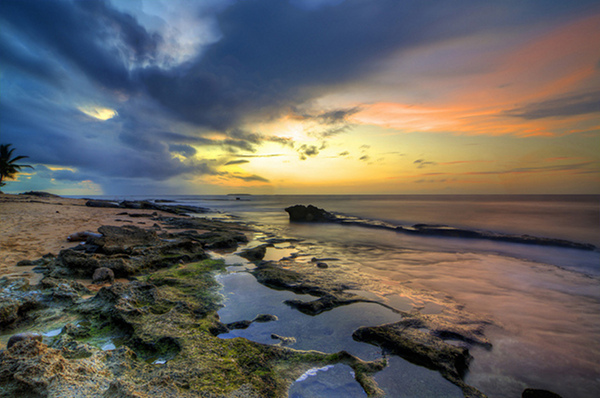 To visit just one, however, is to miss the ecological and cultural diversity that makes the Caribbean so special. While cruise vacations aren’t for everyone, they provide a great introduction to what these islands have to offer. If this is your first trip, a cruise might be just the ticket. The Bahamas and the Greater Antilles, specifically Jamaica, Puerto Rico and the Dominican Republic, are accessible on 5-7 night cruises from Miami or Ft. Lauderdale. Going deeper into the Caribbean, especially into the Lesser Antilles, might require a departure from San Juan, Puerto Rico. Coincidentally, it’s usually cheaper to fly from New York to San Juan than it is to fly from New York to Miami. What’s more, all-inclusive cruises are a surprisingly affordable way to travel, as a 7-night cruise can be had for as cheap as $79/night with meals included. A $250 flight and a $550 cruise for 7-nights is quite an affordable vacation, given the alternatives. Once you’ve gotten to know the Caribbean a bit, and once you’ve chosen a favorite destination or two, it’s time to immerse yourself into that island’s experience. As we mentioned above, most Caribbean islands have more than enough entertainment for one 7-day vacation. While San Juan, Puerto Rico can be a great port for a long-term cruise, the island of Puerto Rico is an excellent destination itself. Boutique Hotel, Luxury Resort or Backpack Hostel? Sure, you could pay $900 a night for a suite at a luxury resort, or you could enjoy an authentic experience at a fine boutique hotel. You could also skip both and opt for a $20/night hostel on most islands in the Caribbean. Each type of lodging has its value to different kinds of travelers, and everyone should strive to experience each at least once in their lives. For your trip, how should you choose between the hostel, the boutique or the resort? Let’s explore that in detail. Hostels are a common way for young travelers to experience new countries on a tight budget. They’re communal by nature, as lodgings are often shared between multiple guests, meals are prepared by many for many and the people you meet often make for long-term friendships. Even if you’re not a college-aged single traveler, hostels can be an affordable way for many adults to explore a new country. There are hostels throughout the Caribbean and many can be had for as little as $17 a night. In Puerto Rico, for example, the Palace Hostel of San Juan is just a few blocks away from the Caribe Hilton and the luxury resorts of the Condado district. Instead of paying $300/night for a basic room in a large resort, you can get away with paying $20/night in a community hostel– besides, the beaches are free no matter where you stay in San Juan. As much as we’d love to be objective, we have to admit– the boutique hotel is our own favorite way to travel. The rates are often lower than the luxury resorts, the service is much more personalized and the properties are often more authentic than any other hotel could offer. 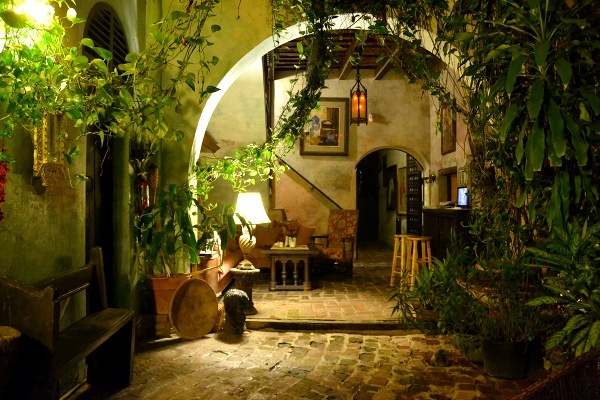 Continuing with the example of San Juan, Puerto Rico, we adore The Gallery Inn at the peak of the Old San Juan historic district. The Gallery Inn is the work of artist and hotelier Jan D’Esopo, her husband Manuco and her family of exotic birds. This boutique hotel is housed in a group of interconnected 18th century properties faithfully restored by D’Esopo herself. The property is absolutely exquisite, offering 22 guest rooms from single-room studios to magnificent suites. 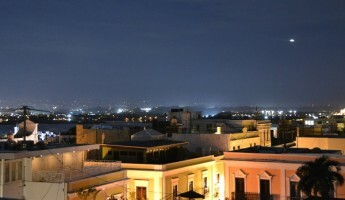 The rooftop wine deck is at the highest point in San Juan, providing unparalleled views of the city and the sea below. The rates for a suite are often lower than most resorts in San Juan, and the experience is much more fulfilling, at least in our eyes. This is often true of boutique hotels here and the world over, and we try to emphasize the boutique option early and often. There’s no limit to the level of luxury you can find in the Caribbean– and no limit to how much you can spend to achieve that luxury. The best luxury resorts in the Caribbean offer pristine grounds, impeccable service, immaculate rooms and exquisite cuisine. If the idea of ultimate relaxation is enticing to you, you can find what you’re looking for in the Caribbean. 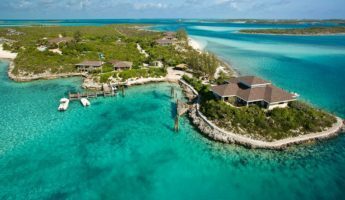 Fortunately, the resort experience can be had for a few hundred a night on most islands, while the luxury resort cost can climb into the four figures per night elsewhere. Once again, using the example of San Juan, Puerto Rico, the Ritz Carlton resort can be had for as little as $300/night, but can break four figures when you consider suite amenities. If we had to choose five Caribbean island destinations to provide the quintessential travel experience, we’d suggest these. From the flat coral islands of the Bahamas to the dynamic landscapes of the Lesser Antilles, these five islands present the true feel of the Caribbean. Nassau’s proximity to the United States makes it an easy-yet-rewarding option for Caribbean travel. A flight from Miami to Nassau takes less than an hour, and Nassau’s airport handles daily flights from many airports throughout the US. The pearl of Nassau’s vacation offering is Paradise Island, home to the massive Atlantis Resort which commands a startling 11% of the Bahamian gross national product. We’re going to steer you elsewhere, however, as there are better vacation options regardless of your budget. If money is no consequence, head to the One & Only Ocean Club just down the beach from Atlantis. You might recognize the One & Only resort from its setting in the James Bond film Casino Royale, where Daniel Craig’s 007 met the lovely Bond Girl Solange. 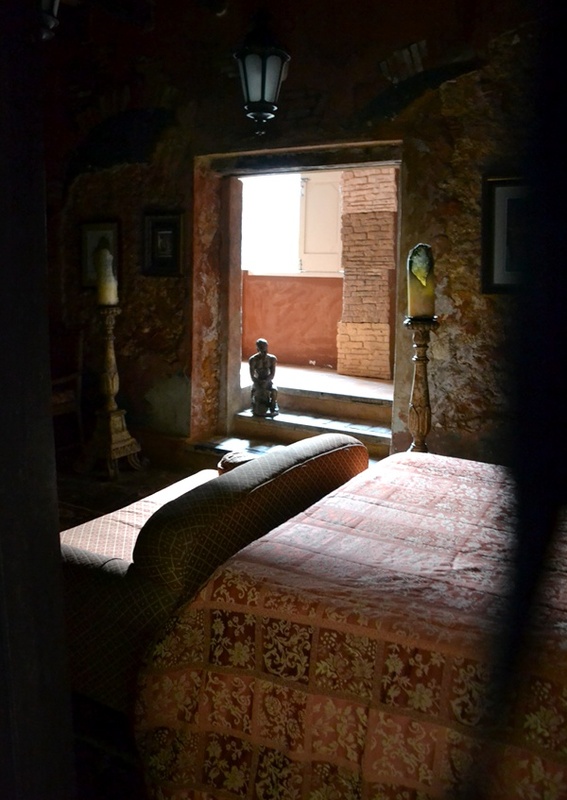 If you want to visit the One & Only, expect to pay the premium– rooms start in the $1,000/night range. In terms of service, style and amenity, you can expect to get your money’s worth and then some at this amazing luxury resort. Alternatively, if the budget is tight, we’d suggest the hostel experience at The Towne Hostel, where beds can be had for $28 a night and the ratings are excellent. 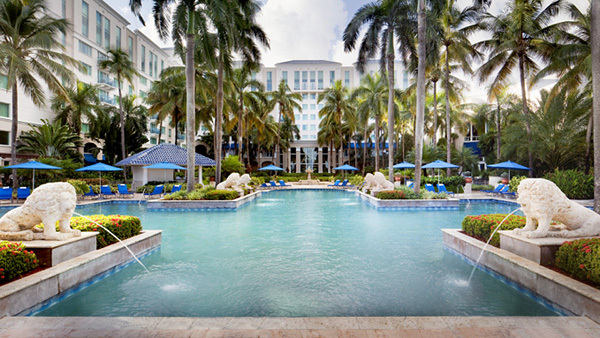 This lodging option is a bit further away from Paradise Island but is closer to the native Nassau experience. The boutique options are even more exciting in Nassau, and we suggest A Stone’s Throw Away, an authentic, vintage-style hotel with rates starting at $185 per night. This enchanting little hotel is perched on a high point in Nassau, overlooking the beaches and lush nature that make the Bahamas so special. You cannot go wrong here, fellow traveler. 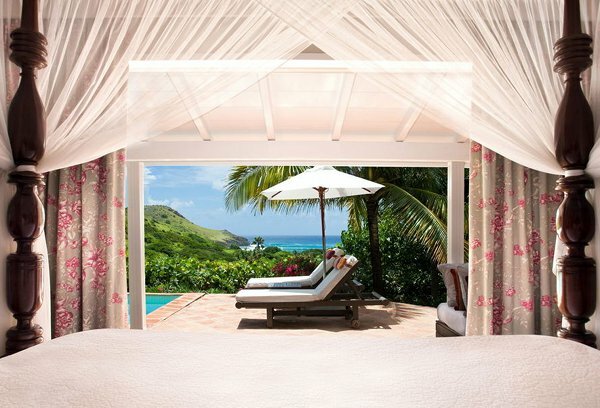 When it comes to celebrity chic, St. Barth’s might be the hottest spot in the Caribbean. It’s not unusual to see the private yacht of this actress or that rapper or even a foreign dignitary in the harbors of St. Barth’s. In fact, it’s practically commonplace. If you have a celebrity-style budget to experience this stunning island nation, we suggest resting your head at Hotel Le Toiny, an expansive luxury resort with just about every amenity money can buy. With rooms starting at roughly $1,000 USD, it might be priced outside of the budget of most travelers. Fortunately, there are plenty of other options on this little pearl of the Caribbean sea. 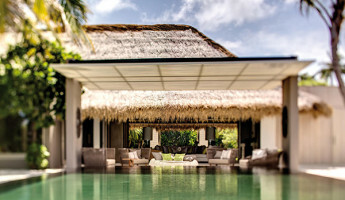 For about half of the cost of a room at Le Toiny, the Design Hotels property Villa La Banane is an excellent boutique alternative. This hotel is furnished with fine restored vintage furniture throughout a plantation-style setting with an emphasis on intimacy. While $500/night is still quite expensive, the hostel alternative is an accessible route for a St. Barth’s experience. The Normandie Hotel provides private rooms for $150/night, much more expensive than your standard hostel. A standard hostel, this isn’t. It’s a hotel in it’s own right with private rooms and community amenities. It’s the hostel experience with a hotel bedroom, and the price is right compared to the luxury options. Last, notice the French-language trend in hotel names? You might want to dust off your basic French before visiting St. Barth’s, as English is a second language on this island. We’ve already covered three prime options for lodging in Puerto Rico, namely the Ritz Carlton San Juan, The Gallery Inn and the Palace Hostel of San Juan. It was no mistake to emphasize Puerto Rico earlier in this article, as it is truly a remarkable place. With its foundation in 1520 by Spanish explorers, San Juan is the oldest city in the jurisdiction of the United States. 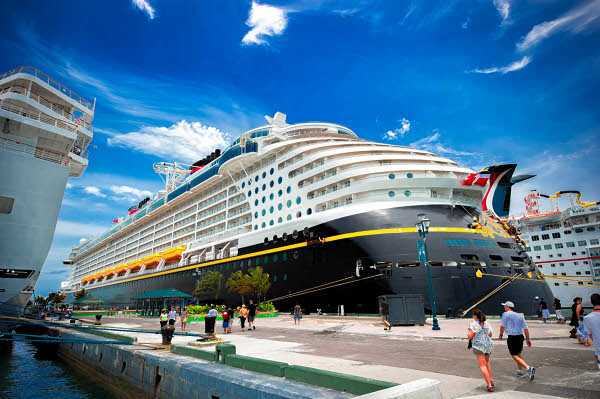 It’s relation to the US also means you don’t need a passport to visit, and its cruise port is a window to nearly every major island in the Caribbean archipelago. There is so much to love about Puerto Rico for the Caribbean traveler, but if you don’t plan properly, you could miss it. 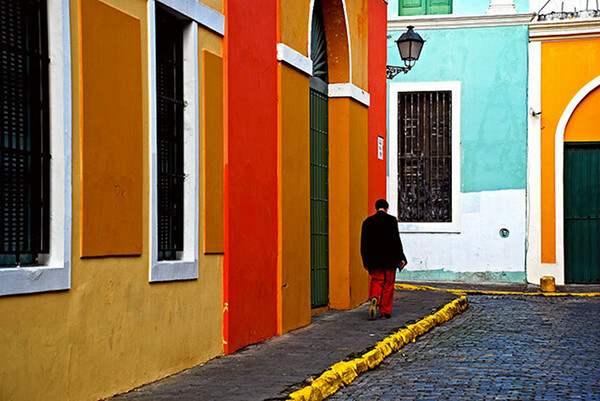 If you travel to experience world cultures, San Juan, Puerto Rico should be on your bucket list. Old San Juan is a UNESCO World Heritage Site, a remarkable historic quarter with incredible 18th century architecture and streets that were paved with blue bricks shipped one-by-one from Spain. This may be the most culturally-significant city in the entire Caribbean, and one that every culture traveler should experience. If culture isn’t your thing, rest-assured that relaxation of every kind can be had on the stunning beaches of Condado, of Vieques and the other areas of modern Puerto Rico. 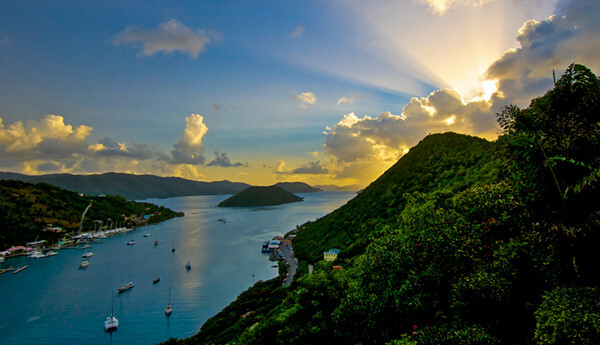 The British Virgin Islands is a group of 60+ islands that collectively hail Britain as an overseas territory. They also boast some of the most visually stunning islands in the entire Caribbean, like the exotic beauty of the island Virgin Gorda. Speaking of virgin, the founder of the Virgin Records/Air/Galactic empire Richard Branson owns one of the BVI’s (as they are often called), Necker Island, which is rentable for wealthy visitors. The rates for a Necker Island stay are not public, but available through a US or UK sales office. 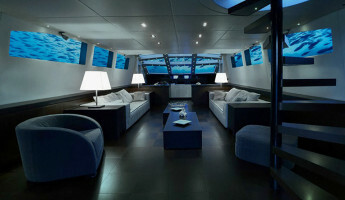 Given the reputation of the Virgin Empire of Mr. Branson, we can’t imagine a better luxury retreat in the BVIs. If a boutique option is on your radar, we suggest the Bitter End Yacht Club International, a collection of hotel villas inset into a hill overlooking the Caribbean expanse from Virgin Gorda. Rooms can be had here for $280 and up, a decent price for such an exclusive stay. While hostel options aren’t well known in the BVI’s, there are plenty of other boutique hotels and bed and breakfasts available for those who like to dig a bit before they book. With its dynamic topography, crisp blue seas and lush green flora, it’s hard to distinguish St. Lucia from the other great beach destinations of the world. When visiting, can you tell whether you’re staying in St. Lucia, Bali, Cabo san Lucas or another exotic destination? This tiny island is truly out of this world, and visitors to the Caribbean are fortunate to have this one so close. That said, where to stay? 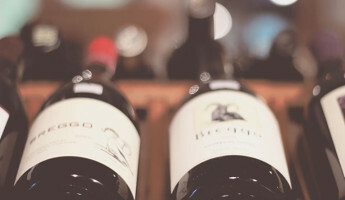 We suggest Hotel Chocolat, one of the finest luxury hotels in the region. One of the reasons we placed St. Lucia so high on our list is that a five star resort like Hotel Chocolat can be had for boutique prices. Rooms start at $350 in the off-season, making this one pretty accessible by luxury standards. 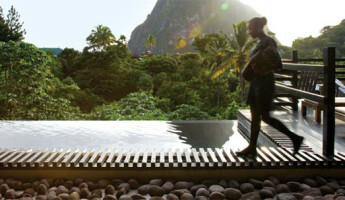 In terms of boutique options on St. Lucia, be sure to check out the newly opened Ginger Lily Hotel. Rates start at under $100 USD, and the property looks better than many other, more expensive retreats on other Caribbean islands. No matter where you stay in St. Lucia, be sure to explore the high-reaching mountains of this diverse island and the picturebook harbors and inlets that dot its coastline. St. Lucia is perfect for those who prefer relaxation and eco-travel over the high-culture, high-luxury escapes throughout this archipelago. When it comes to peace and serene beauty, however, it’s hard to beat this tiny little gem in the center of the Lesser Antilles. Thanks for reading, fellow traveler. Do you have a favorite island or hotel that you think our readers should explore? Be sure to share in the comments, we’d love to hear your side of things. The Caribbean is a truly amazing place, and we’re excited to continue exploring it and sharing these experiences with you. Stay safe and enjoy yourselves, friends.